Dental braces, also referred to as orthodontic brackets or braces are a kind of fixed dental appliance used to correct the alignment of teeth and their position in regard to bite. Braces can be fitted in the upper or lower sets of teeth, or both depending on the type of problem they’re being used to treat. Orthodontic braces are usually used together with orthodontic appliances to create spaces between teeth, widen the jaws or palate, or shape the teeth and jaws. There are numerous reasons why a dentist may recommend orthodontic treatment, especially for children and teenagers. It is an effective way to correct malocclusion or bad bite, which is caused by crooked, crowded, or protruding teeth; jaws that do not meet properly; or misaligned teeth. 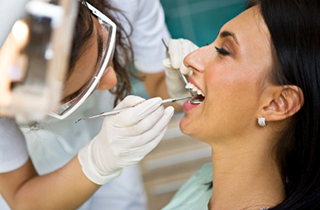 Malocclusion can be inherited or a result of the premature loss of teeth, thumb sucking, or an accident. An improper bite can cause abnormal wear of tooth enamel, interfere with chewing and speaking, and cause jaw problems. So, braces can help to eliminate these problems. Crowded or crooked teeth can complicate daily oral hygiene; so correcting this problem can improve your oral health, reducing the risk for dental caries, gum disease, and even tooth loss. Orthodontic treatments are typically customized for each patient, though most people wear braces for 1 to 3 years depending on the problem being corrected. Once the braces are removed, you have to wear a retainer to hold the teeth in their new positions. Although the treatment can be a little uncomfortable, today’s braces are more comfortable than before. The newer materials used apply a gentle but constant force to move teeth, and require minimal adjustments. If you have any questions regarding dental braces in Delano or if you want to schedule an evaluation, then please call our office at 661-725-9105 where you will be greeted by our staff.